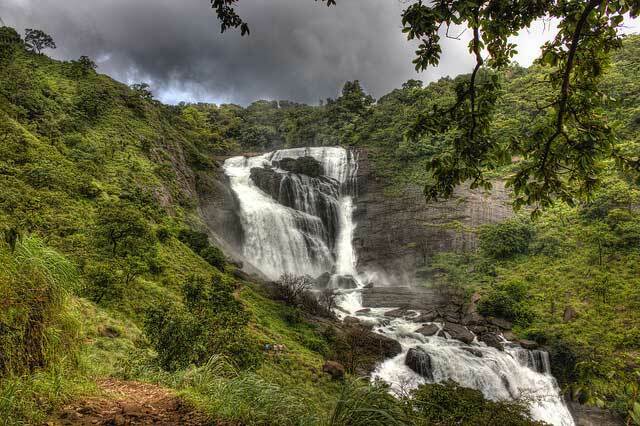 Coorg is popularly known as the “Scotland of India”. This place is worthy of haunting you forever with its lip-smacking cuisine, strong aroma of coffee and oranges and verdant valleys. With a breath taking splendour mystifying the air, this wood forest will make you fall in love with your better half once again. 249 kilometres away from Bangalore, this place is a 6 hour journey from the capital but so much deserving of a visit. Bheemeshwari Forest is solely for the majestic adventure seeking couples. 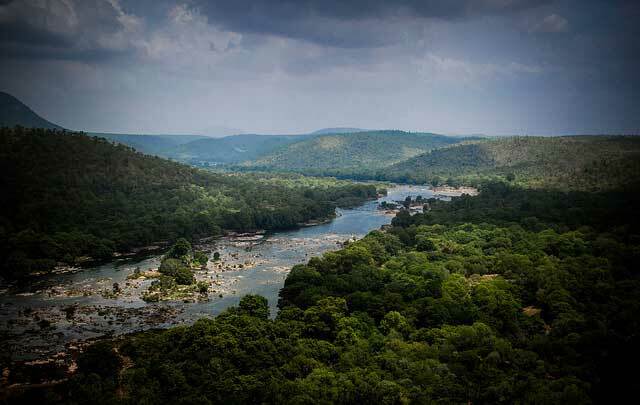 The river Kaveri is ideal for fishing and camping. Monsoon is the best time to visit this place rich in dense forests, rapids, waterfalls and gorges. Mahseer- the largest tropical game fish known to man is the chief attraction over here. Kayaking, rope walking, bird watching and water rafting are the major highlights. It is 100 kilometres away from Bangalore and is slightly heavy on pocket, keeping in mind all the exotic adventure activities. This little hill station is 68 kilometres north of Bangalore. 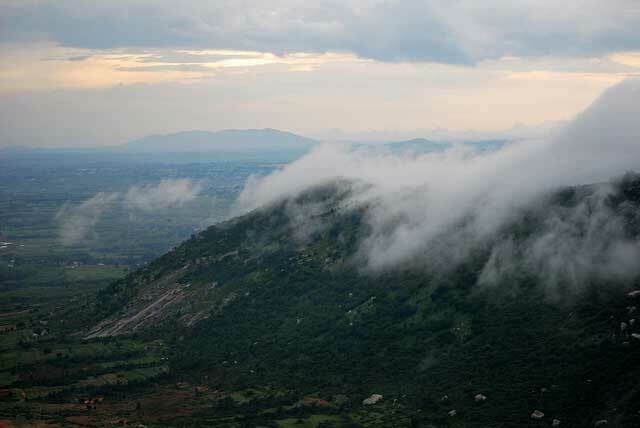 Nandi Hills will be light on pocket and is ideal for people who would prefer strolling around countryside. It has a couple of noteworthy Chola temples and a 600 metre high cliff. It has cottages, which are looked after by the department of horticulture. Travelling from Bangalore via a state bus is the best conveyance to reach here. Food menu over here is authentically udipi. 140 kilometres from Bangalore, it is 770 metre high above sea level. Mysore is full of exquisite temples and scenic spots. 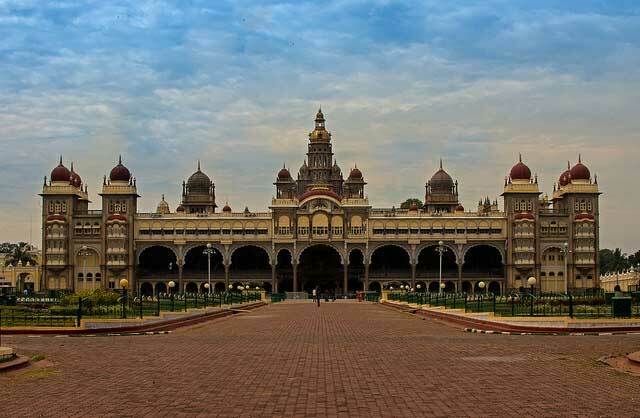 Mysuru palace is the most romantic spot over here. Rest include Chamundi hills, Ranganthittu birds’ sanctuary, Somnathpura, Bandipur national park and kukkarahalli lake. This chief port city is 371 kilometres away from the capital but a lovely planet in itself. 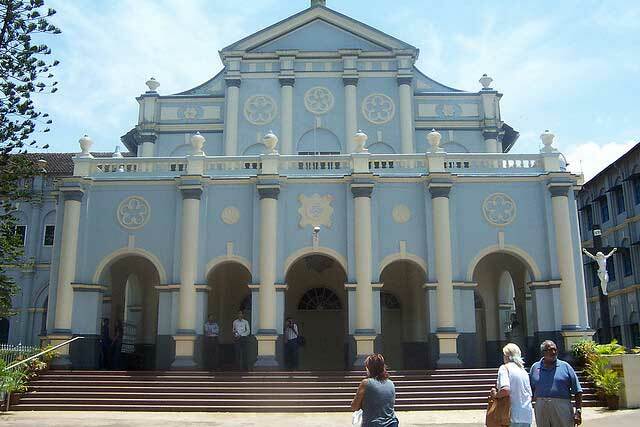 Mangalore is a coastal town with sensational and spicy seafood. Netravathy and Gurupur rivers are picturesque over here. Ullal beach is a bowl full of awesomeness and Milagres Church isn’t far behind. It has several cosmopolitan bars and lounges to steal the night from the claws of hectic work. It is 55 kilometre south to Bangalore and is famous for its silk. Kanakpura Nature Camp is at an elevation of 2093 feet. If you enjoy crafty and artistic works, then it will offer you richly with the sights of pottery making and bee keeping industries. Chunchi waterfalls quench the thirst of ardent lovers over here. Kaveri fishing camp can be the day stealer for novices. Confluence of kaveri and Arkavathy rivers is also one of the many tourist attractions here. 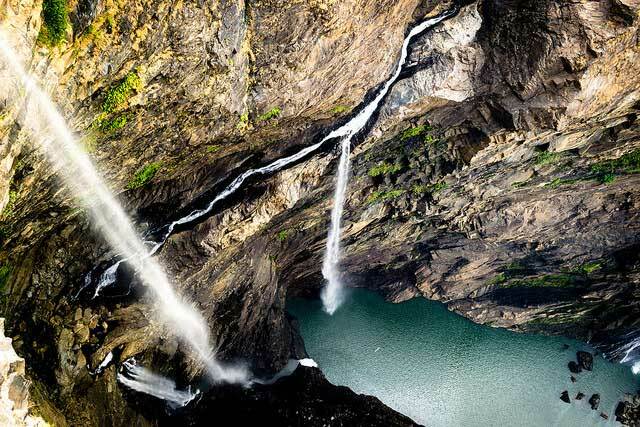 284 kilometres away from Bangalore, Shimoga is most famously known for the ‘Jog Falls’. Best season to land up here is anytime from July to January. Vanaka-Abbey falls, river sharavathi, Achankya falls are few of the myriad waterfalls that drench the burning hearts of lovers every year. Agumbe is a small hill station in proximity with a spectacular sunset point. Kodachadri has got glorious mountains and steep hills. Affluent in flora and fauna, the place comprises of elephant camps and lion safaris as well. 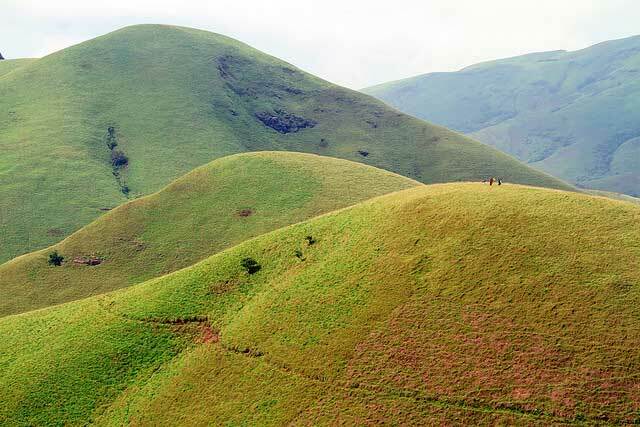 Kundremukh is a captivating mountain range. Kadambi waterfalls which is located here, draws many tourists years after years. Lakya dam is also soulful. The pristine hill station however is the cherry on top. The secluded hill station has green forests and cascades for couples who want to escape from the society. Gangamoola-a walk to where three rivers rise is bewitching for the young souls. The harvest of coffee, enunciated from this district of the western ghats. The enticing coffee country is a green top from above. 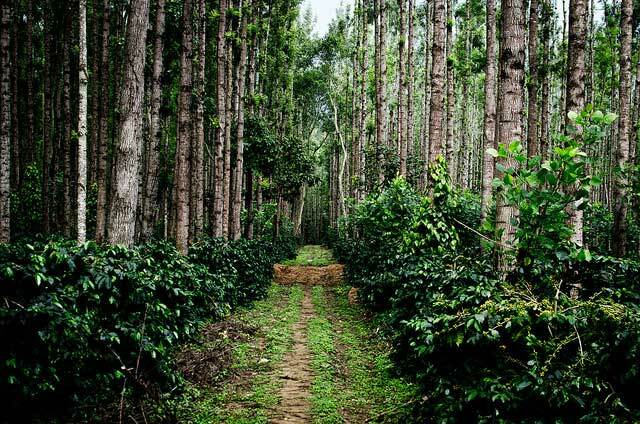 Bhadra wildlife sanctuary is also one of the places that demand a visit in India’s arguably finest coffee land. Anyone who is inclined towards history with a thing for ancient lovers shall make his feet fall here relentlessly. Amriteshwara temple and Veerbadra temples are alluring. It is 243 kilometers away from Bangalore. Located at a distance of 220 kilometers from Bangalore, Yercaud is one of the most serene honeymoon destinations in Tamil Nadu. The town is located amidst the picturesque Shevaroys Hills in the Eastern Ghats and is a perfect place for some romantic moments with your significant other. The place is best visited during the winters when the hills and the surroundings are completely engulfed in mist, giving it a scenic atmosphere. The National Orchardarium and Botanical Garden is also a must visit location for couples with its extant collection of flowering plants and shrubs. I need a quote of bangalore package .